When we purchased the TEC Cherokee grill, we knew that the igniter did not work. We didn’t really care as we typically use a long-nose butane lighter to light all our other grills. However, the Cherokee looked so nice after we cleaned it that we thought it would be a shame not to fix the dead igniter. We also knew that not knowing why it didn’t work would bug us to no end. Besides, the project gave us a reason to take apart the grill and clean some of the places we never would have bothered with otherwise. 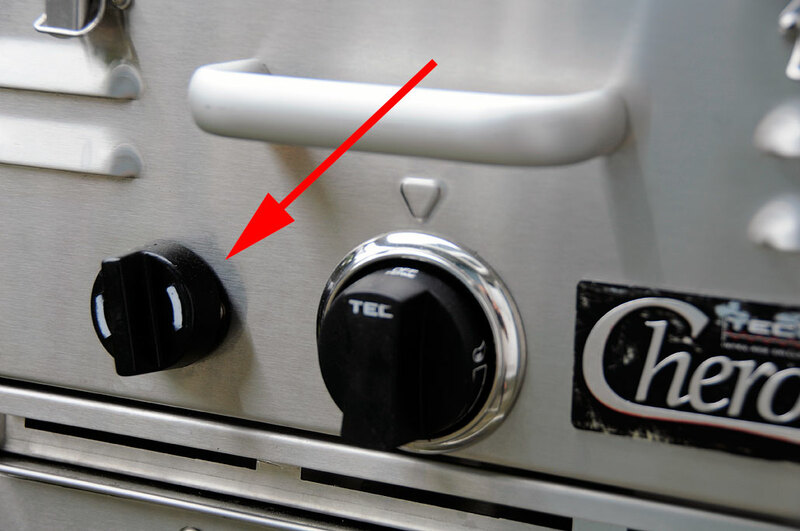 Most gas grills’ electronic igniters work using the same principle: an electrically-generated spark ignites the gas. The spark is usually generated by taking advantage of a property call piezoelectricity. “Piezo,” in Greek, means “pressure.” Quartz and some ceramics exhibit piezoelectric behavior when pressure is applied to them. When under pressure, a charge separation within the material takes place and a voltage is created, which can be extremely high. The high voltage can be used to cause an arc to form, which ignites the gas from the burner. 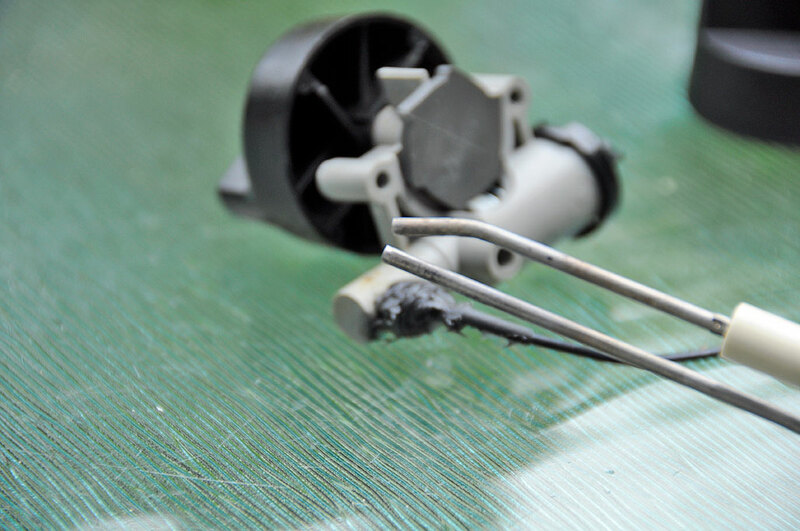 Most ignitition failures happen because of corrosion or the electrode getting gummed up, although another reason might be that the electrode is out of position and therefore sparking away from the gas. The least likely reason is that the generator fails to create enough voltage to cause a spark. To understand the problem with our igniter, we would have to look at the entire spark-creating assembly (electrode, generator). In order to get at the parts, we had to get behind the front panel (4 screws). The two knobs (burner, igniter) in front just pull off. The electrode was mounted to the wall behind the front panel (1 screw). The charge generator was attached to the left side of the back of the front panel (2 screws). The TEC Cherokee uses a rotary-type igniter. This type of igniter works by a small spring-loaded hammer hitting the piezoelectric material. The strike generates the pressure needed to create the voltage, which creates a nice spark that lights the gas in the grill. Rotating the knob and watching the movement of the striker, we did not see any reason why the igniter did not work. The electrode was securely mounted and was directly in the path of the gas. So the problem was most likely due the the build-up of grease and other deposits on the electrode, preventing the arc formation. Sure enough, once the crud was Brillo-ed off and the electrode wiped cleaned, the arc formed with no problem. Putting everything back together was as straight-forward as taking things apart. Of course, we didn’t reassemble the grill without cleaning the grime off the panels. In cleaning around the burner, we took care not to drip onto the ceramic plate or get stuff into the burner itself. The Brillo did its usual excellent job in cutting through the grease and burnt-on crud. The stainless steel was gleaming again in no time. BTW, replacement igniters run about $15 on average, so even if cleaning the electrodes didn’t get it working again, replacing it would not have been an issue. We checked with the TEC support folks and they informed us that TEC uses the same igniter (Part No:ST30IGN) in all their grills. 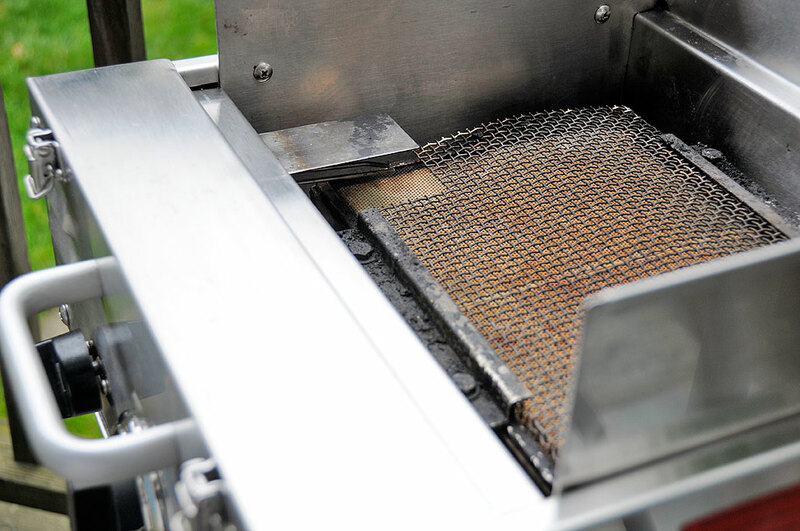 The quality that went into the construction of this TEC grill is really impressive. When folks in the market for a grill compare the TEC with some of its competitors, they may initially balk at the price difference. However, if you want a grill that will last for more than a couple of years, then we think the investment is well worth it.